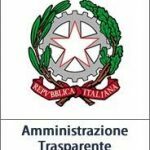 PER COLORO CHE FOSSERO INTERESSATI SI COMUNICA CHE, PRESSO GLI UFFICI COMUNALI,IN ORARIO DI ACCESSO AL PUBBLICO, E’ POSSIBILE FIRMARE PER LA RICHIESTA DI REFERENDUM COSTITUZIONALE DI CUI ALL’ART. 138 DELLA COSTITUZIONE, PUBBLICATA SULLA GAZZETTA UFFICIALE N. 88 DEL 15.04.2016, AD OGGETTO. ” DISPOSIZIONI PER IL SUPERAMENTO DEL BICAMERALISMO PARITARIO,LA RIDUZIONE DEL NUMERO DEI PARLAMENTARI ECT.”. Previous Post:LEGGE REGIONALE N.82/2015-CONTRIBUTO ANNUALE ALLE FAMIGLIE CON FIGLI MINORI DISABILI.